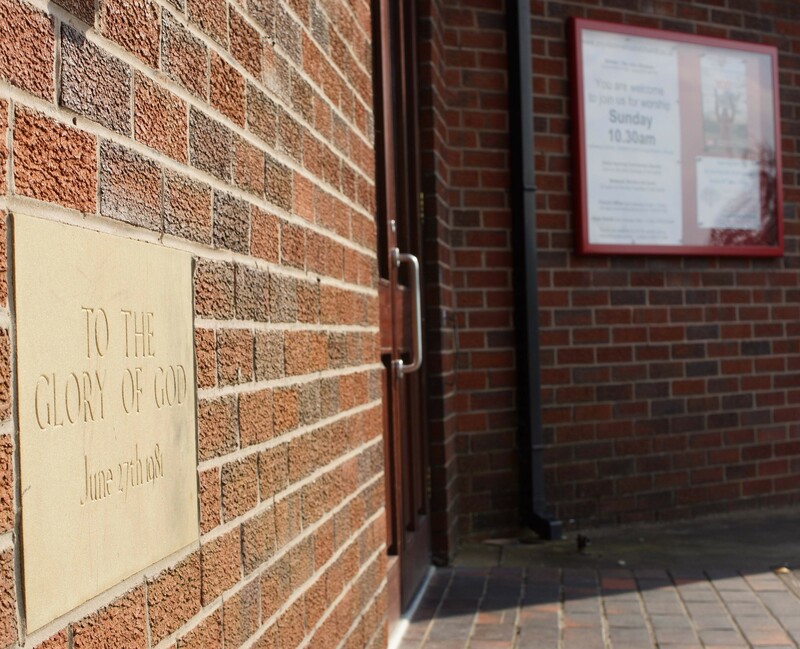 Poynton Methodist Church was formed in 1980, when Clumber Road Methodist Church and Park Lane Methodist Church joined together. 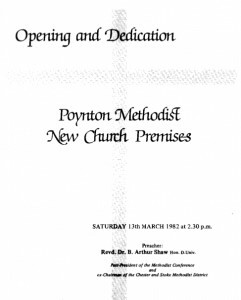 The building of a new Methodist Church to host the united congregations started at our current location in Poynton civic car park in 1981. 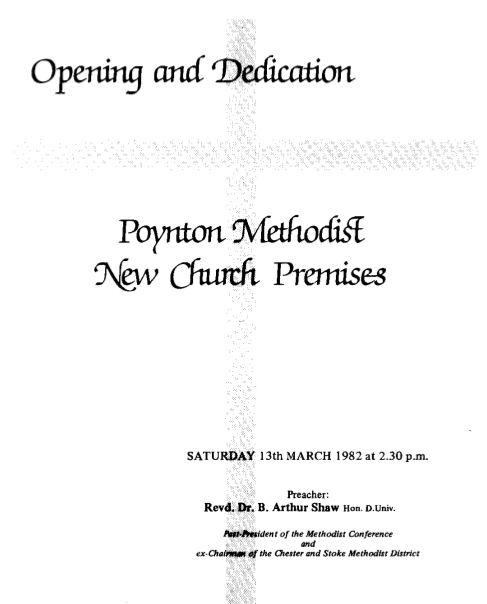 The new Church officially opened on Saturday 13th March 1982, and the programme from the Opening and Dedication service is shown at the bottom right of this page (click on the image to open the full document). 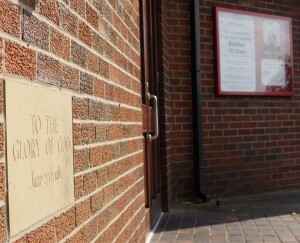 Poynton Methodist Church is one of six churches that make up the Hazel Grove and Poynton Circuit. The others are Green Close, Dialstone Lane, Hazel Grove, Offerton, and Windlehurst. The Circuit straddles the boundary of Stockport and Macclesfield (Cheshire East). The Circuit is in the Manchester and Stockport District, which altogether contains 20 Circuits and about 145 churches. In British Methodism (England, Wales and Scotland) there are 31 Districts with a total of approximately 1200 Circuits. Opening and Dedication Programme. Click to open the full document. The connexion is governed by a Conference that meets annually to elect a President and Vice-President, and to transact the business necessary for the running of the church nationwide. Other Methodist Conferences exist in 63 countries around the world, since Methodism is a Worldwide Church. The World Methodist Council headquarters are in North Carolina. The Methodist Church claims and cherishes its place in the Holy Catholic Church which is the Body of Christ. It rejoices in the inheritance of of the apostolic faith and loyally accepts the fundamental principles of the historic creeds and of the Protestant Reformation. The Church has approximately 180 members. We are registered with the Charity Commission, number 1133699 – for more information see the Charity Commission Website.